Champions of my backyard come the summer are the Anna's hummingbirds. One primary bird will establish dominion over my garden and guard the feeders from other hummingbirds. 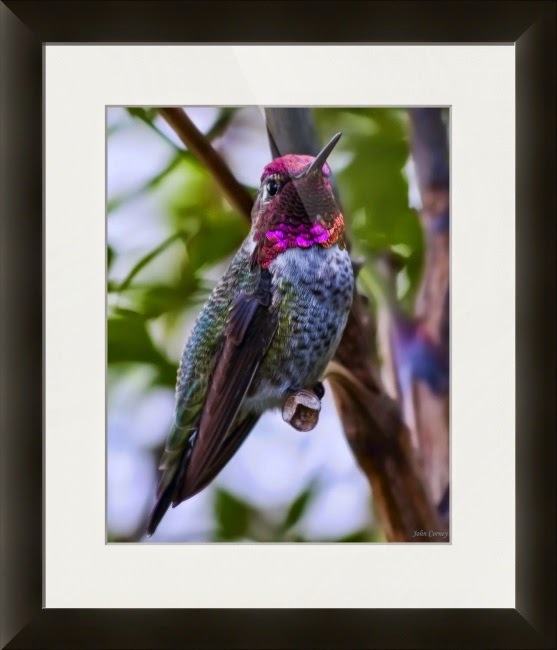 In the spring, however, as the Allen's hummingbirds migrate through the area, the Anna's take back seat to the smaller but feistier Allens.